I coveted one. Had one once. Not the official white version mind you, but a balmacaan sleeve, fly front, single-breasted 1960’s beige business man’s special instead. Not quite so trim, nor as cool as those that the “soul stylists,” (as Paul Weller calls the Mods and their off-shoots) wore, or rather draped over their arms, perfectly folded. 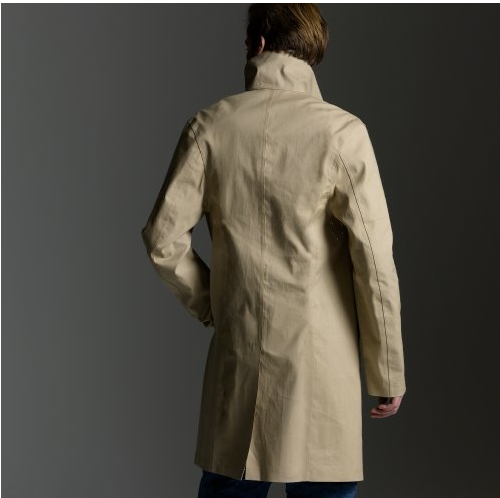 A white slim cut raincoat was something different from the double-breasted trench coats with which I was far more familiar. It’s hard to find a white version these days. Probably because white anything is fairly impractical. It gets too dirty, too easily. But the style is making a come-back. Led by J. Crew, of all places. Item 12839 The Mackintosh® coat, $800.00 from J. Crew’s In Good Company line. And yes, I’m sorely tempted. 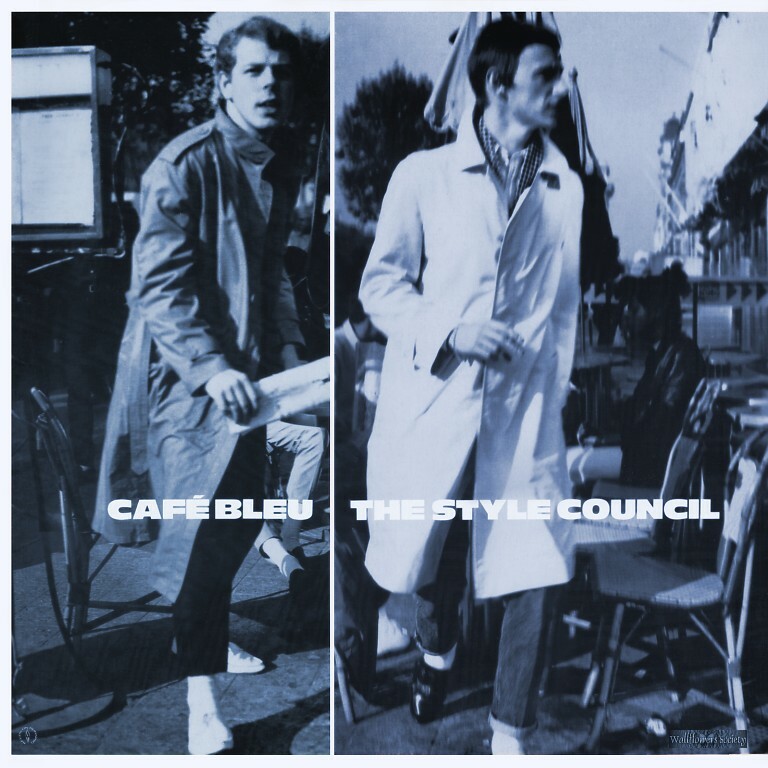 This entry was posted in Elegantology and tagged Café Bleu, J Crew, Mackintosh®, Paul Weller, The Style Council. Bookmark the permalink. Very Cary Grant in Charade. Ben Silver sells a similar jacket, which they claim is the Cary Grant Charade jacket. It is by Greenfells of England. Her: Do you know what’s wrong with you? Trey, I almost led with the movie poster for “Charade.” That model was the one I had. Grant also wore a similar one in “Walk, Don’t Run” if I recall. I’d recommend going for the Ben Silver jacket. I too am often times tempted by J. Crew, but then I head over to their site and realize that they are still charging $120 for a Timex and $375 for a pair of Red Wings that were “worn in” by some stylist. While it may be true you can’t trust a man who does not revere old clothes, I don’t think it’s fair to cheat by purchasing clothes that fake it for you. Hi Nick, I checked into the Mackintosh website and their prices and product are commensurate, at first glance. It’s a bit more to order directly from the brand. I’m happy to check out the Grenfell at Ben Silver, thanks for the tips. “Shooby-dooby, dooby-doo-wop” is the first, and last, thing that comes to mind when I hear or read the name “Paul Weller” or the words “The Style Council.” The song it’s from is called something like “Long Hot Summer,” and was all I needed to know about their music. I wouldn’t have been into the style at the time, but appreciate it a little now. I wore my Flusser Mac once this week amidst the downpour. Loved it and I’m not a bit concerned that it’s getting a blemish here and there. Hard to stop that from happening to a taxi yellow shell!